Our solution to this alarming trend: instead of contributing to the depletion of the world’s supply of flowers, why not give hot sauce? Delicious, spicy, flower-saving hot sauce. Buy hot sauce for your lover, secret lover, other lover, best friend’s brother’s mother, a hairy cuddler, we don’t really care. Whoever you’re showing some love to this week, make sure you do so by giving some hand crafted, spicy, goodness. To encourage flora protection this February 14th, we are offering 14% off*** all Horsetooth Hot Sauce purchases over $11. Oh, and also free shipping (what?!). 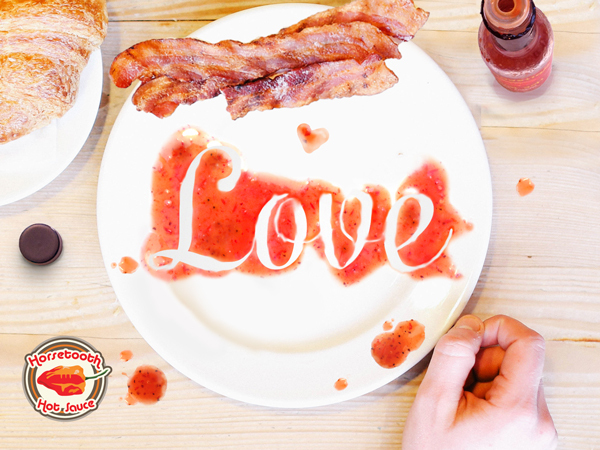 Hot Sauce lovers and flower lovers unite – do your part to save the flowers and make this Valentine’s Day a happy one for everyone. At checkout, input coupon code deadflowers and then select free shipping. To ensure timely delivery, this sale ends Monday 2/10/14 9:00 am MST. *Note: Not an actual study. But it’s probably true. **Note: Not a quote from an actual dude. Well, maybe there’s a guy named Lars De Boer somewhere in the world, and if so, we bet he’s pretty cool.